LCRA provides continuing education seminars that are interesting and educational. LCRA protects our profession by keeping an eye on legislation that could be detrimental to our careers and we also have helped pass legislation that has benefited the Louisiana court reporter. Members get discounts to continuing education that is provided by LCRA. * Membership cycle is on a fiscal calendar from 7/1 through 6/30. Any member three (3) months in arrears for dues shall be suspended from the privileges of membership after due notice has been given him by mail at his last post office address that such action will be taken, but such notice will not constitute a waiver of the dues then owing the association by a member, and such member may be reinstated by the action of the board of directors. An administrative fee of $20 shall be charged for reinstatement of membership. Thank you for being a dedicated member of your professional state association of court reporters, the Louisiana Court Reporters Association! The Board of the LCRA takes pride in its members and in the work we do all year to promote, advance, and protect this wonderful profession of ours! We could not do our important work without members like YOU! Spring is upon us, and the Board of LCRA is asking for your help! Who’s YOUR Plus 1? The concept is simple. If each of you recruits ONE new member to be a part of our innovative state association, we double our number very quickly! We at LCRA are asking you to take a moment to think of a friend, a colleague, a partner, any court reporter you affiliate with and ASK THEM TO JOIN OUR RANKS! The LCRA (formerly Louisiana Shorthand Reporters Association) has been in existence since the 1950s and has continued to promote the profession of court reporting to the present. Our goal is to promote court reporting as a vital part of the judicial system, to provide meaningful educational seminars, and to protect our profession in the legislative process. Our board works diligently with a lobbyist to be sure the court reporters of Louisiana are represented in the legislature. Your membership entitles you to a reduced fee for C.E. Seminars, also! If your Plus 1 joins now, before our fiscal year of June 30, 2019, they won’t pay dues again until June 30, 2020 – a few months of LAGNIAPPE. Who’s YOUR Plus 1? 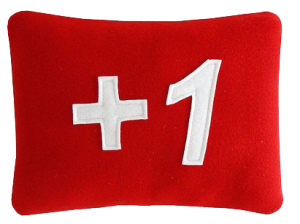 Even Plus 1 members can decide on their own Plus 1, by the way, and be entered into the prize drawing for each new member recruited. Think of a fellow court reporter who may not be a member and ask them to join by forwarding this email to them which contains the link (top of this page) to JOIN online. Ask the new member to type in your name on the referral line on the application. Each new member that joins LCRA earns you a chance to win an LCRA Swag Bag and an Amazon gift card, value $100! There’s no limit on how many new members you recruit. DEADLINE for getting your Plus 1 will be June 30, 2019, and the prize drawing will be held on July 16, 2019. Winner will be notified by email. We are excited about the Membership Drive and hope you will be too! Now, take a moment and forward this email to your Plus 1! © 2014~2016 LCRA. All Rights Reserved.